CentOS Dojos are a one day event that bring together people from the CentOS communities to talk about systems administration, best practises, and emerging technologies. The emphasis is to find local speakers and tutors to come together and talk about things that they care about most, and to share stories from their experiences working with CentOS in various scenarios. Both Jim Perrin and I will be there representing the CentOS Board, and there will be several great speakers (details still being worked out on the exact speaker list). If you are in the Cincinnati area and use CentOS, please register and come to the event. 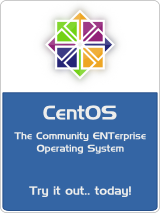 I will be representing the CentOS Project at OpenStack Summit Atlanta 2014 on May 12th to 16th, 2014. The CentOS Linux distribution and RPMs produced by RDO are one of the major ways that OpenStack is now being deployed worldwide (CentOS was the 2nd most deployed Operating System in the latest OpenStack User Survey). If you are using, or plan to use, RDO on CentOS (or OpenStack Platform on Red Hat Enterprise Linux) then there are several Red Hat tracks available at the summit that would be very informative. I am also pretty excited about the Red Hat acquisition of Inktank and I would expect to see some noise about that at the summit as well. Ceph and GlusterFS make up the current members of our CentOS Storage SIG and I look forward to working with both groups in the future. 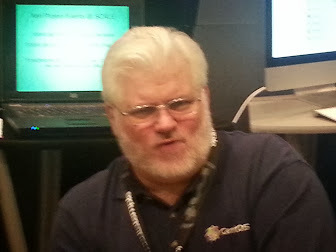 I expect that I will be in the Expo Hall from Monday through Wednesday and I will be somewhere at the Summit on Thursday and Friday as well, so if you see an old dude in a CentOS polo, it's likely me.